We work as a team. We listen. We tailor our services to your needs. Are you sensing a theme here? We may be an accounting firm, but our primary goal is to always meet the unique needs of our clients, no matter what they may be. In today’s tech heavy world, it is important to always be using the most up-to-date software and technology while also keeping a heightened alert to cyber-security and safety. Changes occur quickly so it is important to have a team that can keep your system updated. That is where the Tech Advantage Consulting team at MNMW can help make your life easy! Let our experienced IT team work for you to keep you and your business on the cutting edge of your industry. We offer comprehensive technological services because it’s part of what you need to run your business. Computer or networking problems? Software questions? Want to talk about the Cloud? We’ve got you covered. 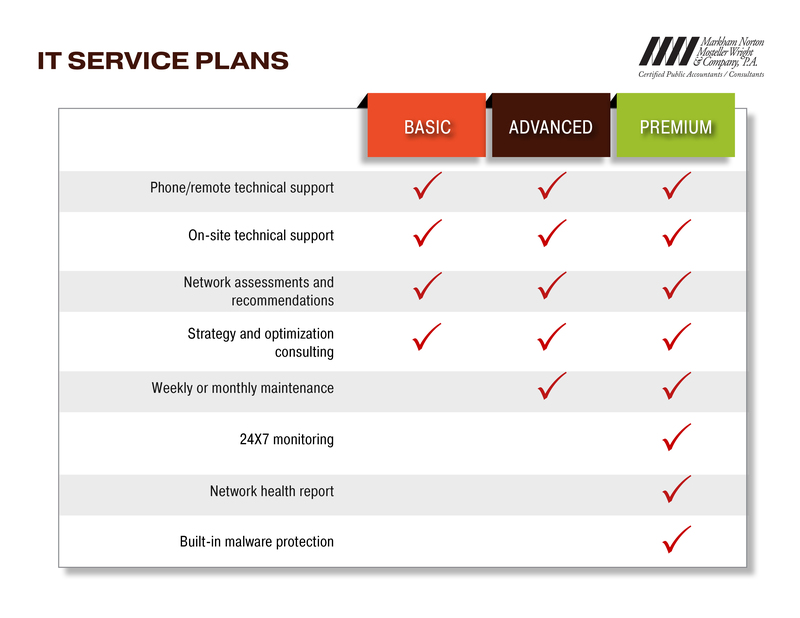 With customizable services, we have the flexibility to offer everything from project consultation and remote support, to hourly technical assistance and all-inclusive monthly services plans. With Tech Advantage, there is no frantic phone call to a far-away place. There is only fast, reliable, personalized service that lets us take care of the tech so you can focus on running your business. Downloadable tech advantage services information. Give us a call to discuss how we can address your technology needs.